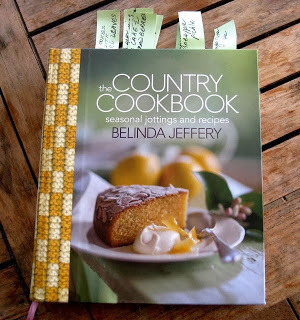 I am very fortunate to have Belinda Jeffery as a friend and neighbour – she is my ‘go-to’ cooking guru. This recipe is from her wonderful cookbook ‘The Country Cookbook’. When I was commenting to her that the ingredients were redolent of southern Indian or Sri Lankan cuisine she said that she had, in fact, first tasted this in Sabah (North Borneo) when she was chasing a dream ( aged 17) and made by the Malay/Chinese cook in the house where she was staying. Oh, the wonderful world of food and cooks! If I cant remember anything else about a place on my travels, I can remember the food I had. 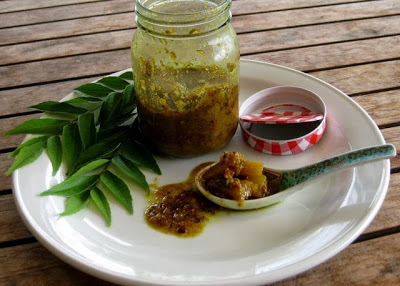 This fantastic pineapple oil pickle recipe is one that I have had dog-eared for a while in Belinda’s book, just waiting for the pineapples to come into season again. It is an extremely pungent and fragrant pickle and, if I could have bottled the aroma of it spreading through the house while I was making it, I think I would be a wealthy woman! 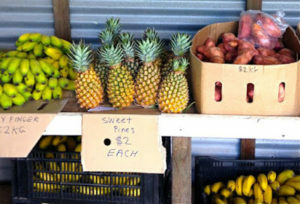 Bella and Kashmiri’s fantastic roadside stall with great homegrown and local produce – cheap and fresh. It’s pineapple pickle time! 1. Pour the vinegar into a food processor and stir in the fenugreek seeds. 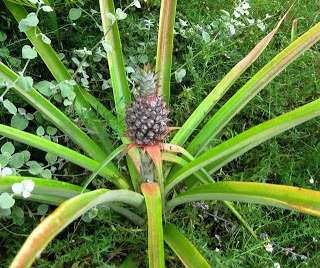 Set aside while you prepare the pineapple. 2. Sit a large colander over a bowl. Peel and core pineapples and chop finely, scooping the chunks into the colander as you go. 3. Place a plate over the top of chopped pineapple and weigh it down with something heavy (cans of tomatoes!). Press down on the cans every so often and leave for 30 minutes or so. Enjoy the strained juice while you’re making the rest of the pickle – you don’t need it for the pickle. 4. Add the garlic, ginger, cumin, and coriander to the vinegar mixture, and blend together until everything is well pureed. Set it aside. 5. In a large stainless steel pan heat the oil. Add the mustard seeds, curry leaves, fennel seeds, turmeric and chilli flakes and stand back – there will be a lot of spitting and heady pungency rising up from the pan. 6. Carefully pour the pureed vinegar mixture into the pan – down the side of the pan is a good idea (you know the thing about adding fluids to hot oil – be careful!) – mix together and cook the mixture for a couple of minutes. 7. Now add the the drained pineapple, sugar, chopped chilli and salt. Increase the heat and bring the mixture to the boil, reduce the heat and let it bubble gently for about 30 minutes until the oil floats to the top. Scoop a little into a cup, let it cool and check for salt and chilli heat. 8. Remove from the heat and pour into hot, sterilized jars. Make sure the oil covers the top of the pineapple in each jar. Cover with a clean tea towel until cool. Once they are completely cool, seal the jars tightly – will keep for 6 months or so in the fridge. Improves with time and Belinda refers to the golden oil in this pickle as ‘liquid gold’. NOTE: I had friends over for the dinner on Saturday and we had this pickle with duck salad and rice. It was a huge hit and a whole jar disappeared on the left-over rice – just yummy!